Apple’s new MacBook is the thinnest and lightest Mac ever, with every component meticulously redesigned to create a Mac that is just two pounds and 13.1 mm thin. It’s a gorgeous piece of industrial design, and a machine that’s very capable to use for graphic, or web design. This month, we’re giving one of these brand new MacBooks away to one lucky winner through Design Shack Deals. It’s a great chance to get your hands on a beautiful new machine for your design work, packed with technological innovation. Read on to find out how to enter! 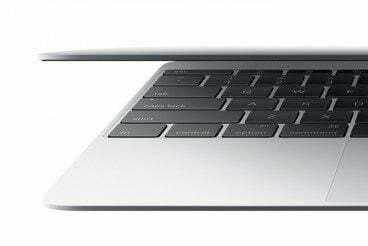 The new MacBook features a stunning 12-inch Retina display that is the thinnest ever on a Mac, an Apple-designed full-size keyboard which is dramatically thinner and highly responsive, and the all-new Force Touch trackpad that brings a new dimension of interactivity to the Mac. It also has an incredibly compact USB-C port for data transfer, video out and charging in a single connector, and a new battery design that maximizes every millimeter of space to deliver all day battery life. You can find out everything about it over at Apple’s website. Entering the giveaway is really simple. Head over to the contest on Design Shack Deals, and enter your email address to register your entry. After entering your email address, you can share on Twitter for additional entries (but that’s completely up to you). The more your friends and followers enter, the more entries you receive. Good Luck! Upon selecting a winner, we will immediately verify that they are indeed a valid person, and that they followed all of our giveaway rules. Enter the giveaway now and make the most of your chance to win!